For quite some time now, due to the internet and websites like Pinterest, kitchens can be any style outside your regions typical theme. For example, in Nantucket, you probably would not see a mountainous rustic kitchen years ago. But now, who knows what style is lurking behind those quaint cottages. The possibilities are endless when it comes to your style of kitchen. Which is yours? Warm and cozy with a ton a functionality! Farm house kitchens have the feeling of making a house a home. Perfect for a cabin in the woods or your home in the middle of the suburbs! This style has rich woods and a lot of character. The style of “modern” means many different things to many people. It is one of those styles that can be very versatile. 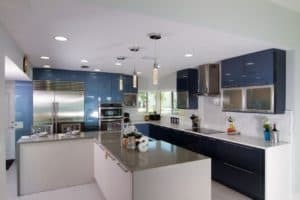 But, overall, modern is characterized by frameless cabinets and sleek edges and hardware. It’s all in the details with traditional kitchens. 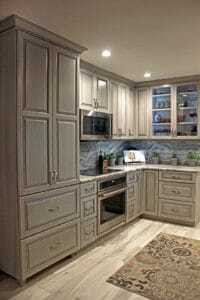 These kitchens are typically filled with decorative moldings and a mix of finishes and cabinetry. Sometimes mistaken for modern, the contemporary style is a little more fun! Along with having sleek lines, it also takes different elements from other styles. Probably the most popular style right now! The marriage of two styles, traditional and contemporary! Transitional is just right. With all these great types of kitchens, it’s hard to choose! But any style you pick to remodel your kitchen, all are timeless when done the right way!